FLATY/LACK/CHEKOV/MARTINOU Cong Burn 04 vinyl at Juno Records. REPRESS ALERT: The quality of the Cong Burn releases shows no signs of slowing as they reach their fourth volume, rounding off a sterling year for the label. 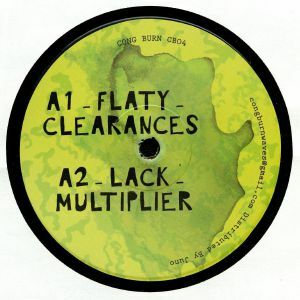 Russian producer Flaty makes an appearance here with the metallic, motorik electro of "Clearences" before Lack slows things down with the clanky funk of "Multiplier". 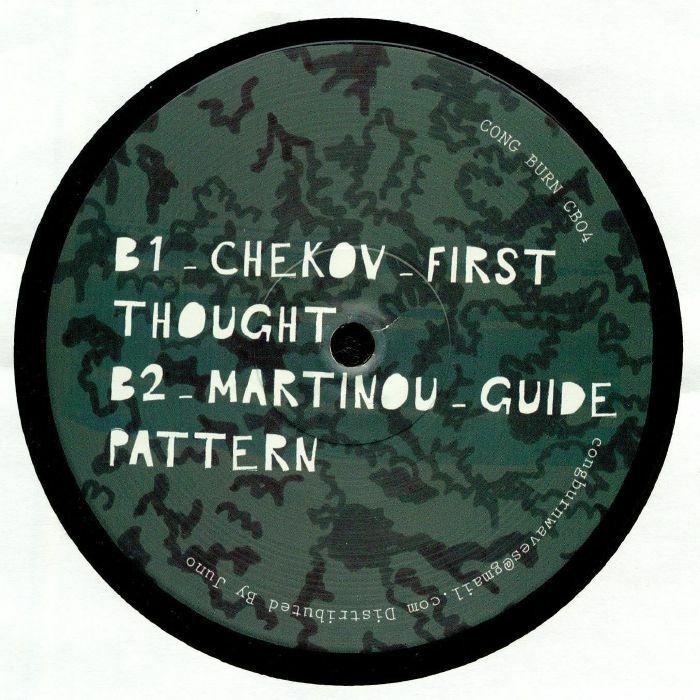 Chekov has a more full bodied techno sound to impart, using spacious sound design to create a rich and immersive modernist jam, while Martinou completes the set with a subtle, shuddering and shimmering effort that dips below the radar of dancefloor convention to achieve a more subliminal effect.